He loved it! I’ve tried a couple of different recipes but once I tried Alton Brown’s Sugar Cookie recipe I knew I had found the best recipe out there. When I made them the first time, one of them broke as I was taking it off the pan, I really wanted to try this new recipe so I took a bite and I was amazed how good it was! I finished that cookie right up. 🙂 I made only a couple of slight changes to his recipe to improve on it.These sugar cookies are great for decorating with royal icing. You can find my recipe for royal icing here. Sift together flour, baking powder, and salt. Set aside. Place butter and sugar in large bowl of electric stand mixer and beat until light in color. Add egg, milk and vanilla and beat to combine. Put mixer on low speed, gradually add flour, and beat until mixture pulls away from the side of the bowl. Divide the dough in half, wrap in waxed paper, and refrigerate for 2 hours. Sprinkle surface where you will roll out dough with flour. Remove 1 wrapped pack of dough from refrigerator at a time, sprinkle rolling pin with flour, and roll out dough to 1/4-inch thick. Move the dough around and check underneath frequently to make sure it is not sticking. Cut into desired shape, place at least 1-inch apart on greased baking sheet, parchment, or silicone baking mat, and bake for 7 to 9 minutes or until cookies are just beginning to turn brown around the edges, rotating cookie sheet halfway through baking time. Let sit on baking sheet for 2 minutes after removal from oven and then move to complete cooling on wire rack. Serve as is or ice as desired. Store in airtight container for up to 1 week. 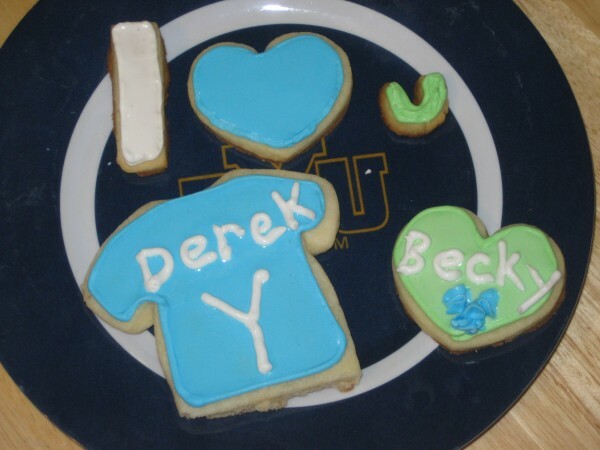 i’m making these for valentine’s day cookies today. 🙂 thanks for the recipes, becky! I’ll vouch for u on this one. alton browns sugar cookie recipe “is” super amazing!! 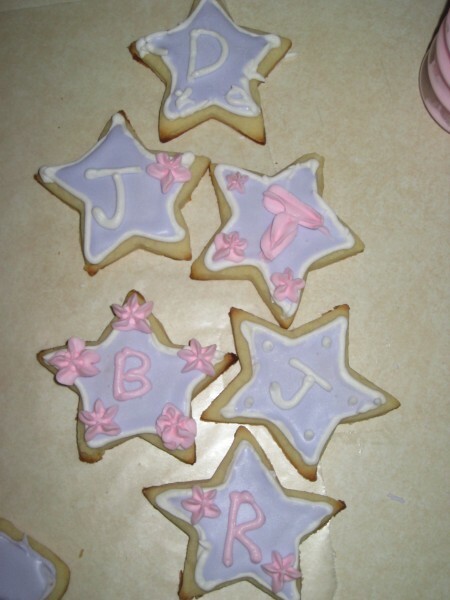 I LOVE how your star cookies look. The frosting color is pretty!